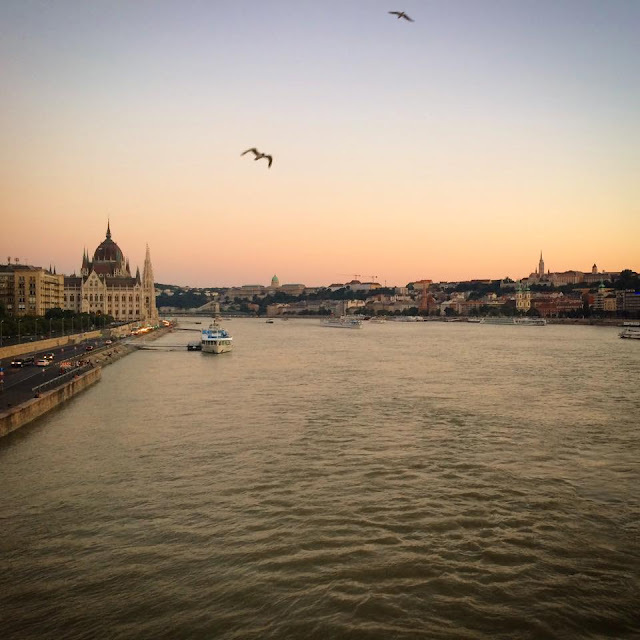 Adventures of Elis: BEST OF BUDAPEST - A guide for budget travel. The Hungarian capital is fantastic – there’s loads to see and do, a fun and sociable party atmosphere and I found it to be very kind to my wallet. It is an ideal base for backpackers wanting to get a taste of Central or Eastern Europe. Budapest is a combination of two old cities, Buda and Pest, separated down the middle by the Danube River. Both sides are beautiful and offer something unique, so it is difficult to get bored here! So without further ado, I have put together a list of my top 10 tips to help budget travelers to get the best out of Budapest, based on my time in this city. Budapest really comes to life when the sun goes down. In the summer months, hoards of backpackers fill the city’s abundant bars and clubs, attracted by the fun, party atmosphere and cheap drinks. Most clubs in Budapest do not charge an entry fee, which makes nights out very affordable. I was very pleasantly surprised by how good Hungarian wines were - expect to pay around GBP £1.80 for a large glass. 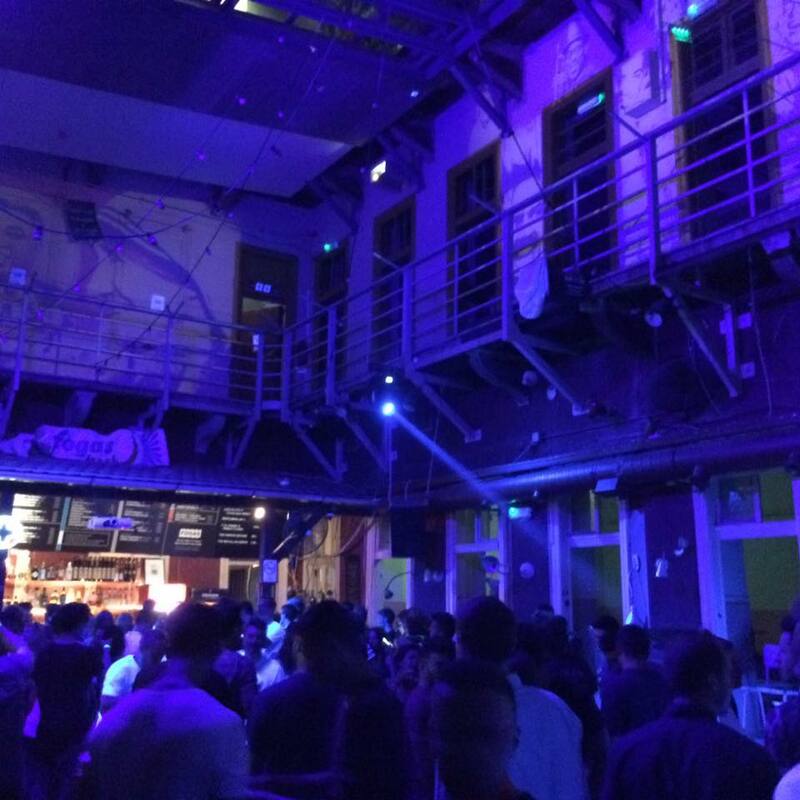 Although there are bars all over the city, the best nightlife is concentrated around Király utca in central Pest. The easiest way for solo travelers to enjoy the city’s party scene is to join an organised pub crawl, which are abundant in the city. I had a lot of fun on the PubCrawl Budapest tour, which meets in Déak Ferenc Square and is aimed at backpackers. 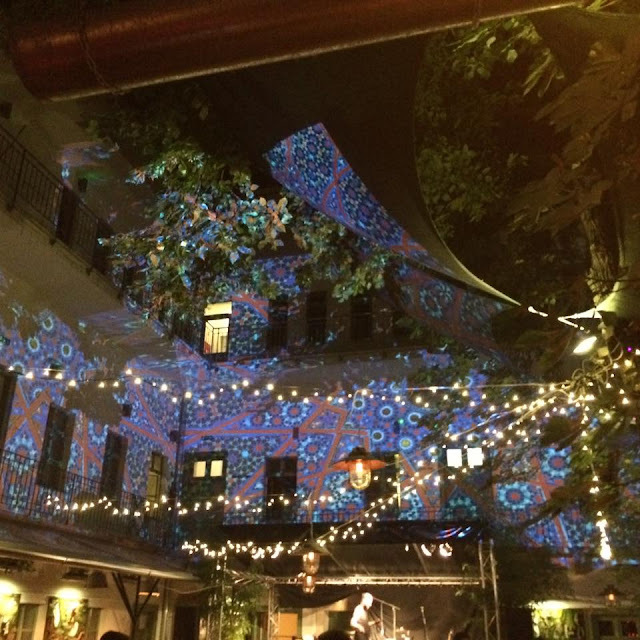 I’d not heard of ‘ruin bars’ before visiting Hungary, but these fantastic arty bars turned out to be a real highlight of my trip. Dotted all over the city, these bohemian bars are a colourful remnant from the communist era – crumbling Soviet apartment blocks were acquired by groups of young artists and transformed into bustling cultural hubs. The ruin bars are the heart and soul of Budapest - I absolutely loved the gritty, retro feel. In many I saw trees sprouting from the dance floor and some even lacked a solid roof! The ruin bars are friendly, cheap and a lot of fun. 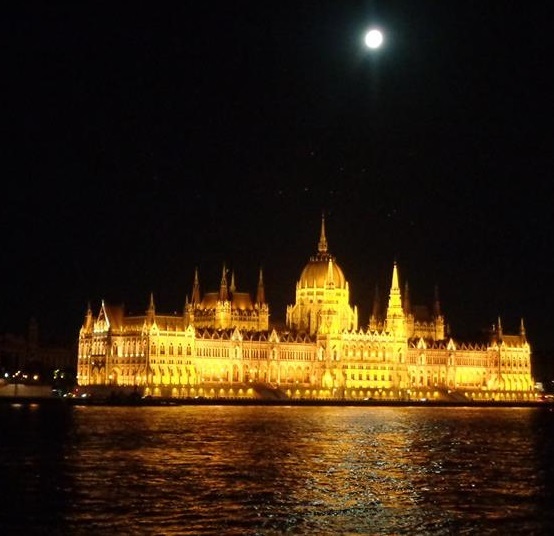 It is impossible to avoid history whilst in Hungary, and Budapest is no exception. I found the city’s relatively recent history particularly intriguing. Hungary was a communist republic between 1949 and 1989 as part of the Eastern Bloc. Conditions during this era were harsh and life was very different to today. 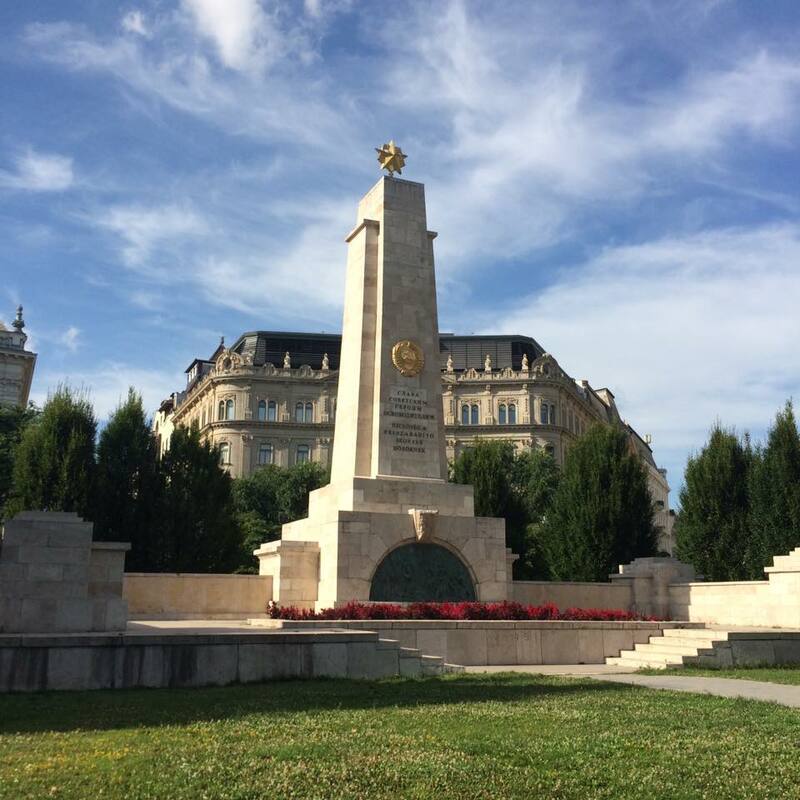 Although Hungary is no longer a communist nation, this period has had a profound impact on Hungarian culture and left many interesting relics across the city. I took a communism walking tour which was absolutely fascinating – it definitely helped me to understand what has made Hungary the place it is today. There are a number of communism-themed tours in Budapest, but I would highly recommend the free tour aimed at backpackers which leaves twice daily from Vörösmarty Square. This city is beautiful by both day and night. A bedtime walk alongside the river is a magical experience as the city’s imposing landmarks, including the Chain Bridge, Buda Castle and the Hungarian Parliament are illuminated. Reflections of these mighty structures glisten against the ripples of the Danube and the city takes on a whole new feel. There are a number of relatively cheap river cruises running after sunset, but for the budget traveler a simple stroll is just as rewarding. Straddling the brow of a small hill and protected by defensive walls, Buda is the oldest part of the city. I loved this part of town – the cute cobbled streets and pastel coloured buildings make Buda feel more like a quaint country town rather than a capital city. And there is no shortage of impressive landmarks in this part of the city – the Fisherman’s Bastion, Mátyás Church and Buda Castle are all worth seeing. There are panoramic views over the Hungarian Parliament and the city of Pest from the Fisherman’s Bastion which are not to be missed whilst in this part of town. However, I’d urge against eating in this touristy part of the city as restaurant prices are excessive. Across the Chain Bridge from Buda is the much larger, more cosmopolitan city of Pest. This part of town is the polar opposite from Buda – instead of the cobbled streets you will find grand boulevards and lively squares. I really enjoyed the hustle and bustle of Váci utca (the city’s main shopping district). Here you are spoilt for choice with restaurants and can easily find cuisines from each corner of the globe. Avoiding the busiest squares and thoroughfares, you are likely to eat for a reasonable price in the side streets of Pest. As a rule, expect to pay between GBP £4 and £10 for a main course in a mid-range non-touristy restaurant, but providing you do a bit of searching, savvy travellers may be able to eat for cheaper than this! Must-see sights in this part of the city include the Széchenyi Chain Bridge, Szent István’s Basilica, the Hungarian Parliament and the Central Market. Architecturally modelled on the British Houses of Parliament, the magnificent Hungarian Parliament is iconic to Budapest and I can promise you it is even more impressive in real life than it is in pictures! Perched on the banks of the mighty Danube, this majestic palace is a photographer’s dream. The front entrance can be seen from the Kossuth Lajos Square, but in my opinion the most spectacular view is from Batthyhány Square over the other side of the river. Thermal spas are a huge part of Hungarian culture. First made popular by the Ottomans in the mid-1500s, these naturally-heated pools can now be found dotted all around the country. The two most famous baths in Budapest are Géllert and Széchenyi, with Széchenyi offering the cheapest entry (roughly GBP £13 for basic day entry). The waters are rich in minerals and are thought to promote natural healing. The rich orangey-pink hues of the Hungarian sunset against the domes and spires of Budapest make for a truly idyllic scene. I could have stood for hours watching the commuters returning home for dinner and the boats slowly pass by beneath me as the daylight gradually slipped away. The beautiful twilight scene from Margaret Bridge is something which will stay with me for a very long time. If you’re staying in a city for more than a few days, I like to get out of the city and see what the countryside looks like. This is very easy in Budapest as the small medieval town of Szentendre (meaning ‘Saint Andrew’) is just a 45 minute train ride to the north of the city. Perched on the banks of the Danube, Szentendre is packed full of museums, shops and colourful cobbled streets. 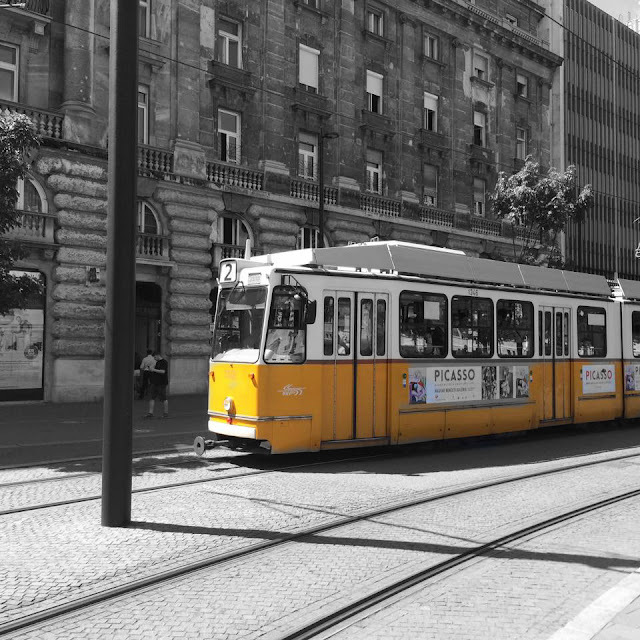 Take Metro line 2 to Batthyhány tér, then take the HÉV suburban train to Szentendre. 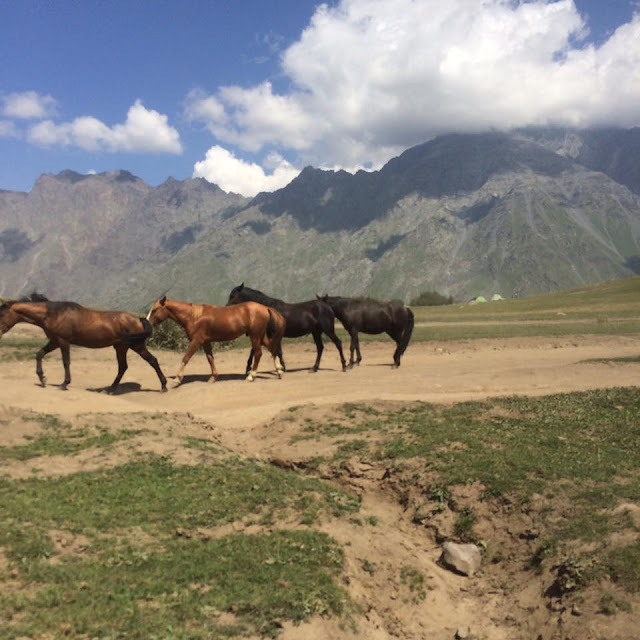 Travel costs are extremely cheap – I only paid GBP £0.86 each way. In the coming days I will post a more detailed article on Szentendre and the Danube Bend. 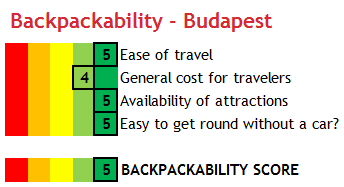 My backpackability score for Budapest is 5, meaning it's very favourable for backpackers. For a more detailed explanation of the backpackability index, see this post. I really hope this guide helps budget travelers get the most out of the city! Thank you very much for reading and if you enjoyed this post then follow my blog more more similar posts! Feel free to ask any questions in the comments section below and I will get back to you as soon as possible.